It is now five years since my daughter, Clea, drowned in a tsunami on Lalomanu beach, Samoa. I so wish that she had not died on 29 September 2009. Every day I wish that she had not died. I am learning to live with the pain of her not being here. I understand that she is not returning. I will never get used to not watching her grow up. I will always miss her voice, her smell, her smile, her. I hate that I have to live without Clea. I hate that we have to travel without Clea and that she does not enjoy the same life as her brothers. I still hate and feel immense anger that my daughter is dead. I still see the murky water. I still see us searching for her pink swimmers amongst the debris. I try to focus on her life but am not always successful. I feel the impact of the tsunami on a daily basis, physically and emotionally. We are in Goreme, an enchanting landscape of fairy towers and houses cut into the rock walls. There are cave hotels and underground cities as well as valleys to walk and lose yourself in. 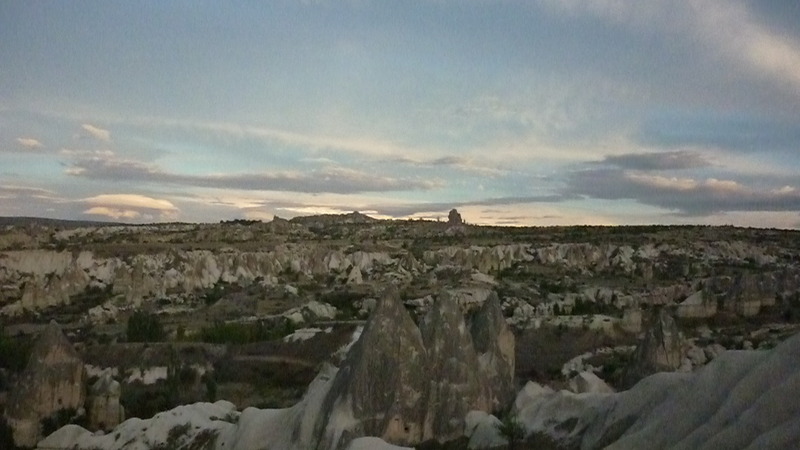 It is 6:15am in Goreme. For the second morning in a row we have tried to go on a balloon flight. We have dried rose petals to toss into the air and bubbles to blow. I wanted to go on a balloon ride for Clea’s death day but the weather has been against us. It is cloudy and raining; as it should be. So I have posted a photo of sunset rather than sunrise. In Turkey, we are seeing many wonderful sights and eating great food. I post photos of our trip on Facebook but it does not matter how beautiful the place is or how much we are enjoying our holiday here, there is always someone missing from our lives. There is always a hole in my heart; such deep sorrow and pain. Nothing can erase it. I love you Clea. I miss you. Mother of three. Bereaved mother of one. Survivor and victim of 2009 Samoan tsunami. Could be if would be writer. This entry was posted in Uncategorized and tagged Clea, Clea Salavert, daughter, death, death day, family, grief, Lalomanu, mourning, reality, travel, tsunami. Bookmark the permalink. Thinking of you all and the joy Clea brought to you all.